I know, I know, you’ve heard about broccoli since you were a kid. Mom and Dad may have forced you to eat it, and, of course, they touted its healing properties. Perhaps you acquired a taste for it, or maybe you despise it after years of nagging, but whatever the case is, you really should be eating it as early and often as possible. I’m going to give you some compelling reasons to eat your “trees” (that’s what my kids call them), and at the bottom, I’m going to share with you my two favorite ways to partake. Broccoli has long been billed as one of the healthiest vegetables on earth, and all that positive publicity is sound in reason. Broccoli is an exceptionally nutrient-dense superfood. Inside its leafy green exterior, you will find tons of fiber, vitamin c to helps with iron absorption, essential antioxidants that help fight various forms of cancer, calcium, and so much more. Let’s break it down a little further. Broccoli is one of the very best foods you can eat when trying to drop fat. Why? Well, the simplest explanation has to do with the amount of soluble fiber that can be found in a serving of broccoli. The high fiber content in broccoli takes a long time to digest and helps the eater to feel full longer. Broccoli is LOADED with protein, water, and fiber, and all of these things keep you from overeating. Even better, broccoli can help ramp up your metabolism by increasing your bodies ability to burn fat by up to 30%!!! Fountain of youth anyone? How about a stronger immune system? Let’s look at an important nutrient that can be found in Broccoli….Sulforaphane. Sulforaphane is part of the phytochemical, disease-fighting compounds in plants called isothiocyanates. In short, sulforaphane has the unique power to prevent specific enzymes from turning on certain cancer-causing agents in the body, but at the same time, it increases production of other types of enzymes that can help clean out carcinogens before they do cell damage. Powerful stuff, packed with reasons to partake. 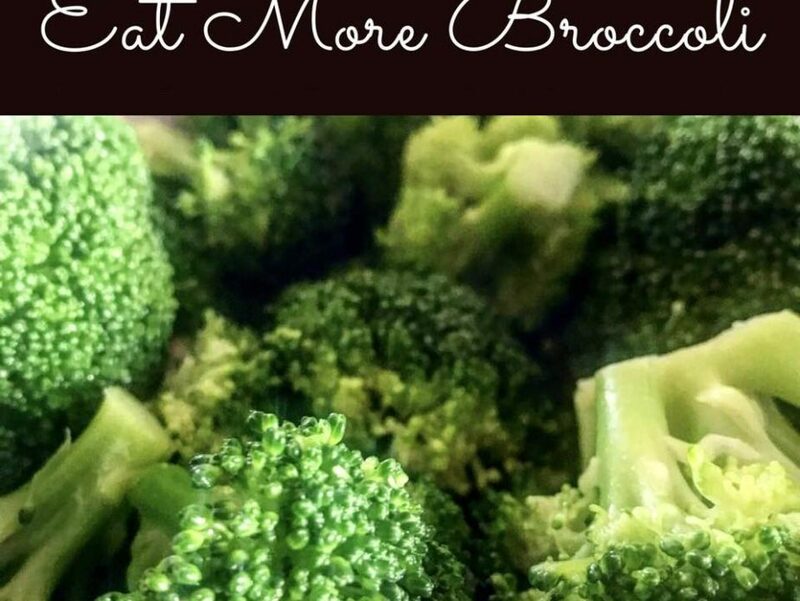 Broccoli is stocked with omega-3 fatty acids, which makes it an excellent way to get your important omega-3’s without fish if you are vegan, and omega-3 is critical to help fight inflammation. I remember being pregnant with both of my babies and having my doctor tell me the importance of folate. Before my pregnancies, folate wasn’t something I was all that familiar with and didn’t strive to consume. We should all familiarize ourselves with folate because it has been shown to protect us from numerous forms of cancer including, colon, pancreatic, cervical, and stomach. Broccoli has a high level of vitamin K and calcium, both of which can be critical for the health of our bones. 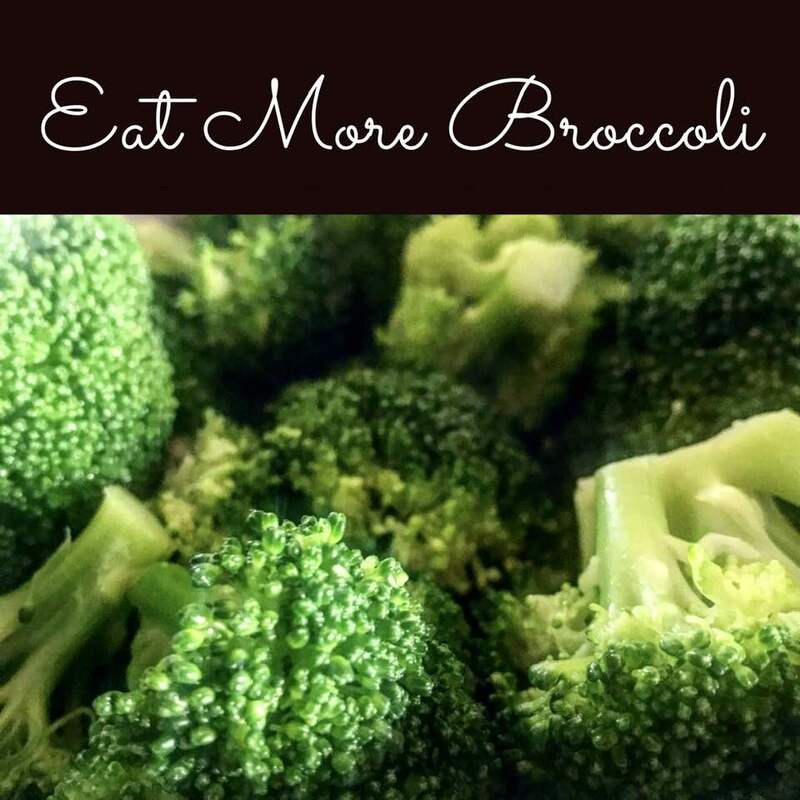 Broccoli, like most other cruciferous vegetables, helps keep the body less acidic. We all want to keep our bodies pH levels stable, and broccoli can help do just that. There are countless more reasons we could dive into from helping your cardiovascular health to detoxifying your body, but I think you get the picture. You SHOULD be eating your broccoli as often as possible. Well, raw is probably best for getting all your nutrients but for those who want another option, my two favorite ways to eat it are below. I love to steam my broccoli, just until it is al dente. I put a small amount of water in the bottom of pan and bring it to a boil, I drop in my broccoli and cover it with a lid (water should not completely cover the broccoli). After three-four minutes I drain out the water and I drizzle the juice from one lemon over the top and toss in sea salt! It’s delish, fresh, light, and so good! Give it a try. My other favorite way to eat broccoli is to eat the stems raw. If you cut off the top (and save it to steam) and cut away from the outside of the stem, you will notice the inside of the stem is soft, slightly sweet, crunchy and very delicious. Find your favorite way, experiment often and remember all the reasons your body will thank you now and later.